At Bronk & Somers, we take the time to listen to you and then analyze and explain your legal options. 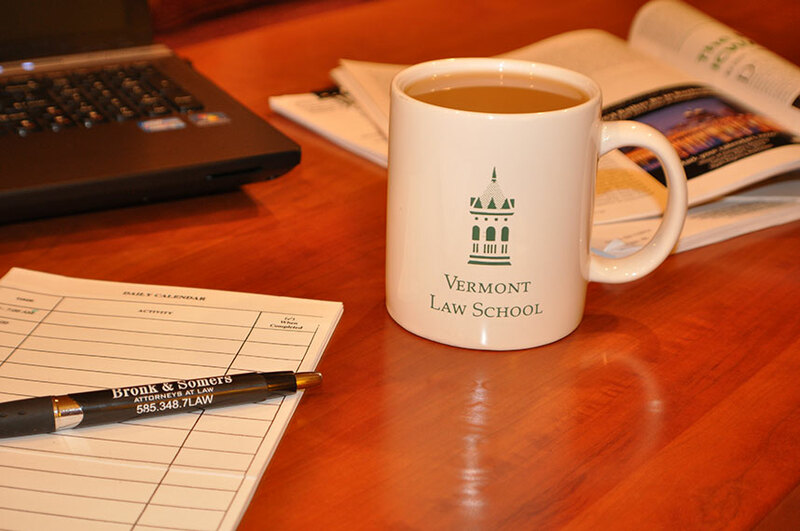 We start by inviting you to be a guest at our office to sit and talk with us about your case. We have a detailed and focused discussion of your case so that we can explore and understand the legal, factual, and medical issues to be addressed. Then, we give you our thoughtful and experienced analysis of your case with an initial plan of action. We take the time to explain to you both the applicable New York law that applies to your case and the anticipated procedural progression of your case in the future. We think it is important for you to understand the legal system in which you are involved and the legal remedies available to you. We will explain to you the legal services that we will provide to you and your family. Bronk & Somers brings over forty-five years of legal experience and knowledge to your Workers’ Compensation, Social Security Disability, Personal Injury and Wrongful Death case. Come be our guest and talk with us about your case today. Contact our office at 585-348-7529 now to set up a consultation.